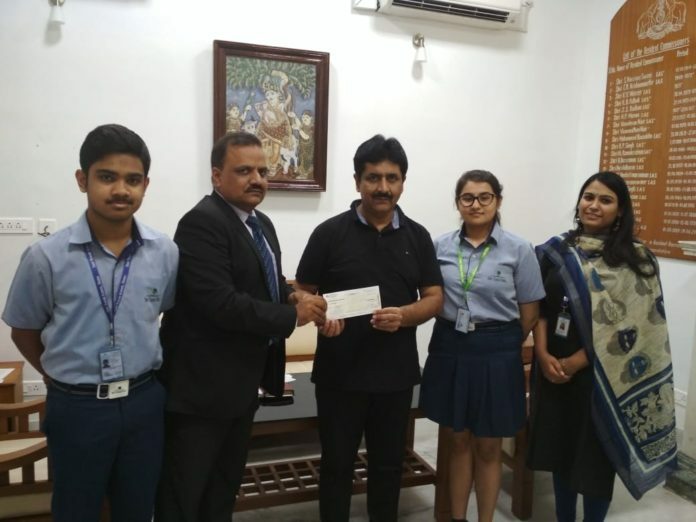 Gurugram: Teachers and Staff of Shiv Nadar School in Noida, Faridabad and Gurugram (a not-for-profit initiative of the Shiv Nadar Foundation in K12 private education) raised a sum of Rs 10 lakhs for the Kerala flood victims, by donating a day’s salary to the cause. The cheque for “Kerela Chief Minister’s Distress Relief Fund(CMDRF)” was handed over to the Resident Commissioner of Kerala, Puneet Kumar at the Kerela Bhavan, New Delhi on Teacher’s day, the 5th of September. Parents and students also voluntarily donated clothes, umbrellas and dry ration which was sent to the flood victims. It has 20 years of trust and experience in this field by providing exclusive gemstones at a reasonable price. Get Gemstones online service. 100% guarantee of quality and naturalness of gemstones along with its certification report.